A creative inventiveness is a distinguishing feature of a Swiss watch company TAG Heuer perfectly combined not only in ready-made watch model, but also in manufacture work. A skilful handmade work and high technologies apply let to produce a high quality production. A high accuracy TAG Heuer achieves thanks to efforts of qualified and talented specialists, their skillfulness improved year by year during many decades and still it is getting better. A watchmaker should have ability to make the finest operations making watch movement. It is amazing to look after watchmakers' work and see how they can see the elements which absolutely invisible for a human eye. Also there is need to connect all the pinions and other elements of a movement together, working accurately. Teaching such specialist of a high qualification takes a lot of efforts and investments. That is why TAG Heuer opened own school where skillful watchmakers teach their future followers. 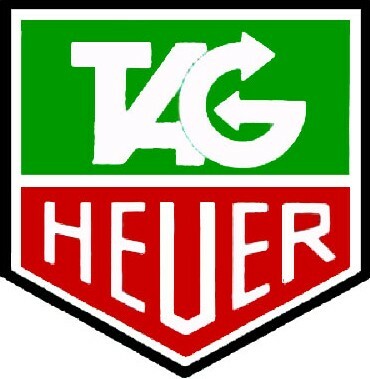 At TAG Heuer manufacture high-technologies are used, also there work real professionals of horology. Also, the manufacture disposes of semiautomatic production line of a new type. It is supplied with specially made programs, which control the work of every movement. In the case if an element of a watch movement is perfectly suit all other details, it is sent to other position. All the process is directed and watched out by watchmakers. This combination of handmade work and a high-technology automatic production, using the best modern materials let to make and release some unusual and innovatory products by TAG Heuer. Innovations is also one of the main ideas of the watch company. 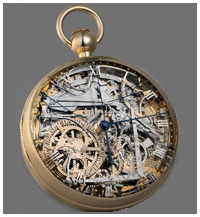 One of the examples of innovations apply is a model of a chronograph built on a base of Calibre 1887. It is rather bright and extravagant modification supplied with waving gear wheel and column wheel. The movement has 39 gems, frequency rate is 28 800vph. Calibre 1887 contains 320 elements – which is a real pride of mechanics. The chronograph is a reflection of TAG Heuer leadership among other watch producers.